The tables I presented in my last articles are well thought-out, carefully produced, comfortable and safe for children. However, their range of use is quite obvious: a child is to sit at the table and use the table top as a work surface. Today, I'm going to introduce you the products, that present completely different approach to the concept of table for children. 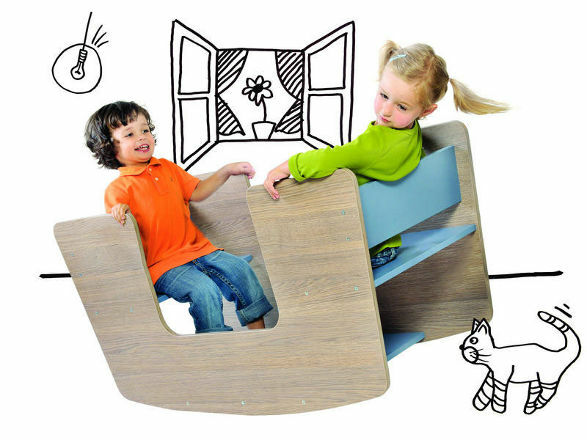 Apart from the characteristics mentioned above they offer another value – new way of thinking about the common piece of furniture and about children's skills development.